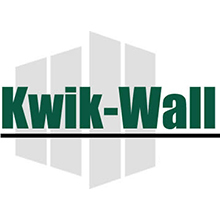 Builders' Hardware and Specialty Company is an industry leader whose expertise is recognized on a regional and national basis and supported through many awards and certifications. Experience and Industry Certifications is what sets Builders' Hardware Builders' Hardware and Specialty Company apart. Builders' Hardware and Specialty Company is an active corporate member of The Door and Hardware Institute (DHI). DHI represents the North American openings marketplace as the advocate and primary resource for information, professional development, and certification with the purpose of advancing life safety and security within the building industry. 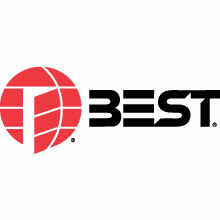 Our Team of Professionals have earned numerous Certification Designations in the following specialties: Architectural Hardware Consultant (AHC), Certified Door Consultant (CDC), Electrified Hardware Consultant (EHC) and Architectural Openings Consultant (AOC). DHI awards these credentials to individuals who have successfully completed a prescribed series of training and have passed rigorous certification examinations. Individuals pursuing certification must complete the core educational curriculum before branching off to follow a particular discipline. Architectural Hardware Consultant (AHCs) are trained to recognize a builder’s hardware requirements for door openings in all types of public, commercial, industrial and institutional buildings. AHCs coordinate thousands of builders' hardware items and options to ensure door openings are in compliance with fire, life safety, accessibility and building code requirements. An AHC specializes in architectural hardware, including electrified hardware, and all its applications. This specialization includes advanced knowledge of relating codes and standards. AHCs also have a significant knowledge of commercial doors and frames. An AHC can provide professional specifications and coordinate the planning process between architects and building owners. They can also provide expert direction for building security and life safety. *AHC description courtesy of the Door and Hardware Institute. Every 19 seconds, a fire department responds to a fire somewhere in the nation. A properly functioning fire door assembly can mean the difference between life and death. Electrified Hardware Consultants (EHCs) specialize in the coordination of architectural door openings with the increased security needs of public buildings in today’s society. EHCs are experts at interfacing electrified architectural hardware products into access control monitoring and fire alarm systems, while maintaining compliance with fire, life safety, accessibility and building code requirements. Architectural Openings Consultants (AOCs) are individuals who have attained AHC, CDC and EHC professional certifications. AOCs have mastered all facets of the commercial Door and Hardware industry and exemplify the highest standards of expertise and professionalism. Certified Door Consultant (CDCs) are trained in the construction and application of standard and custom hollow metal doors and frames, architectural flush and stile and rail wood doors and aluminum doors and frames. CDCs must master a myriad of fire, life safety, accessibility and building code requirements for all types of buildings. A CDC credential means that this consultant has an advanced education in architectural doors and frames, including the manufacturing process, selection, preparation and installation of wood, hollow metal, aluminum and other types of commercial doors and frames. A CDC also has an advanced knowledge of the applicable codes and standards, including fire-rated products. A CDC can provide professional specifications and coordinate the planning process between architects and building owners. They can also provide expert direction for building security and life safety. *CDC description courtesy of the Door and Hardware Institute. 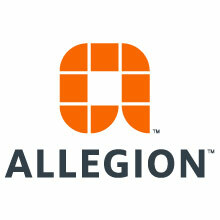 Builders' Hardware and Specialty Company is an Authorized Security Center for Allegion (IR) Security Technologies. We offer security systems ranging from simple restricted Primus key systems to the most up to date electronic access controls systems. As the authorized IR security center, we have access to the most widely used and proven products in the industry. Our staff of seasoned professionals, including Architectural Hardware Consultants, security system integrators and door and hardware installers, is at your service. 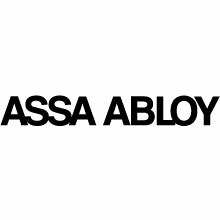 At our service centers or in the field or certified Assa Abloy installers can pre-assemble the door, hardware, and frame so you don't have to. Wire Runs/Pulls, Wiring Terminations, Trouble Shooting. Builders' Hardware and Specialty Company can supply wood doors that are certified to FSC® standards on your next project. Specifically, Builders' Hardware can provide you with FSC certified door products that satisfy U.S. Green Building Leadership in Energy and Environmental Design (LEED) building requirements. 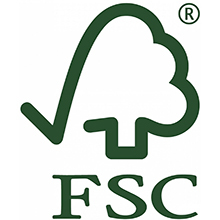 When putting together your next project estimate on a Commercial Green Building Project, make sure to ask your “supplier of choice” if they will be able to produce a wood door FSC Chain-of-Custody ( CoC ) with all invoices to ensure that you will receive the appropriate LEED™ Credits.